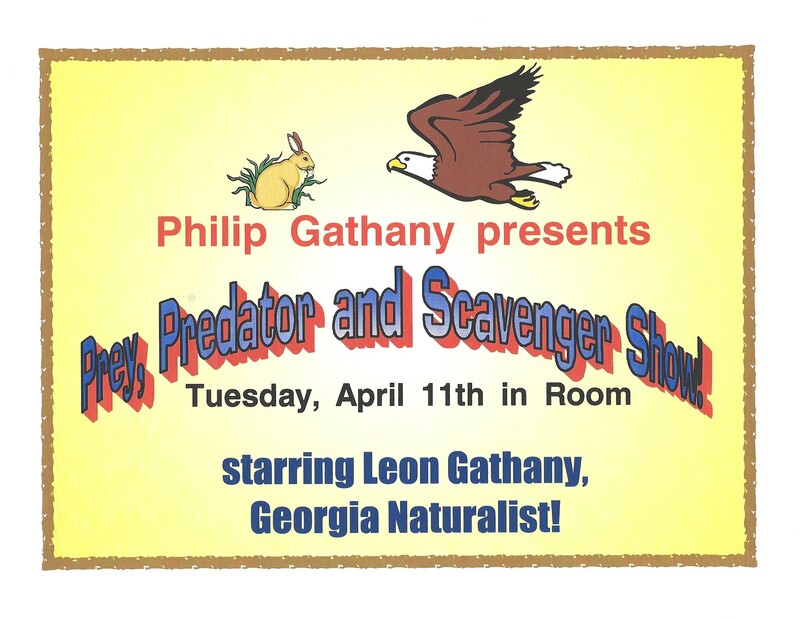 The following abridged excerpts from “The Old Man of the Mountain: An Autobiography by Leon B. Gathany” describe his experiences as a park naturalist and presenter of nature awareness programs. “By the time the Toccoa Falls high school closed, I was thoroughly into the business of doing nature programs. I had a fairly good display of mounted mammals, birds and fossils from Florida, North Carolina, and even some from Wyoming. I also had an extensive assortment of insects and a very good collection of rocks and minerals. I used the collections with posters that summarized the characteristics of the artifacts I was displaying. In the summer of 1977, a friend of mine recommended that I take the position of summer Naturalist at Tugaloo State Park. 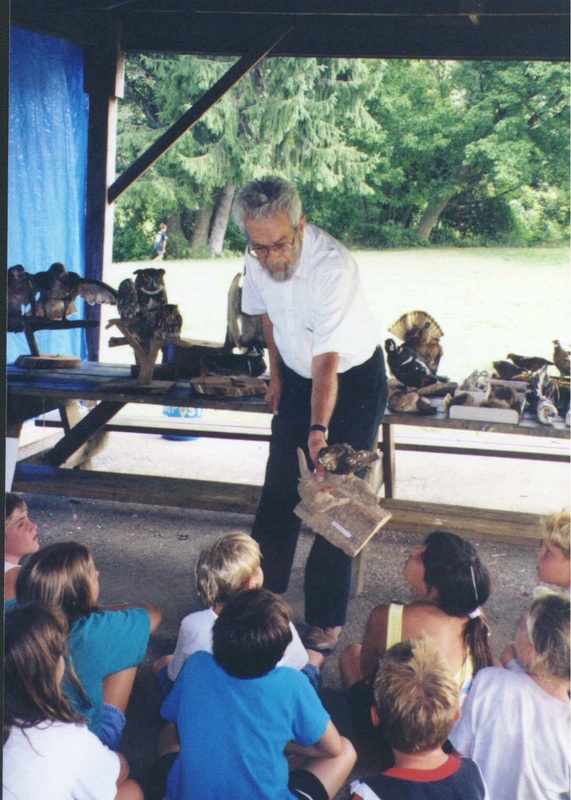 A park naturalist’s responsibility is to present nature programs to the campers vacationing at the park. 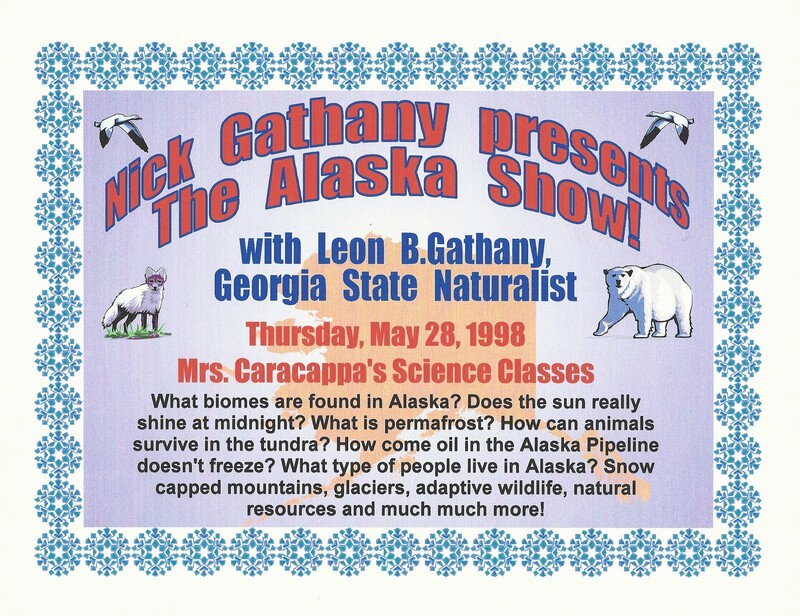 Subsequently, I began doing nature presentations at the park, which was the start to my adventures as a naturalist. 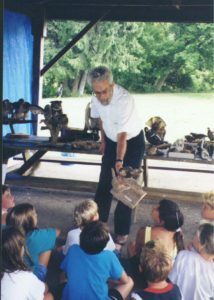 When I completed my programs for the summer, the Park Manager, expressed his appreciation and indicated that whenever I retired from teaching, I could work for him as Park Naturalist. So in 1983, I started working at Tugaloo State Park regularly in the summer months during the camping season. I would present morning and evening programs, especially on weekends. 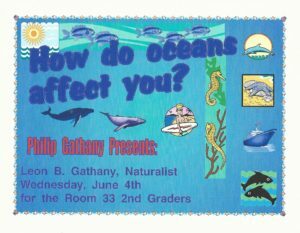 Also, on a few occasions I did presentations for other organizations, such as civic clubs, schools, scouts and churches. So I began doing regular programs for City Schools of Decatur high schools and middle schools. 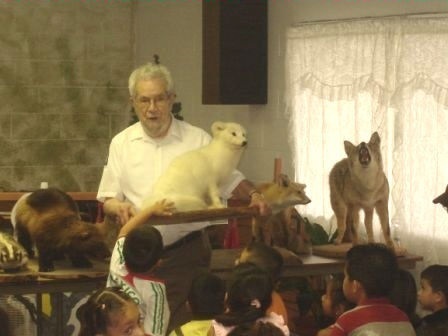 Eventually I limited my programs to the elementary schools with kindergarten through sixth grade classes. These younger students’ desire for knowledge made my work there a true joy. 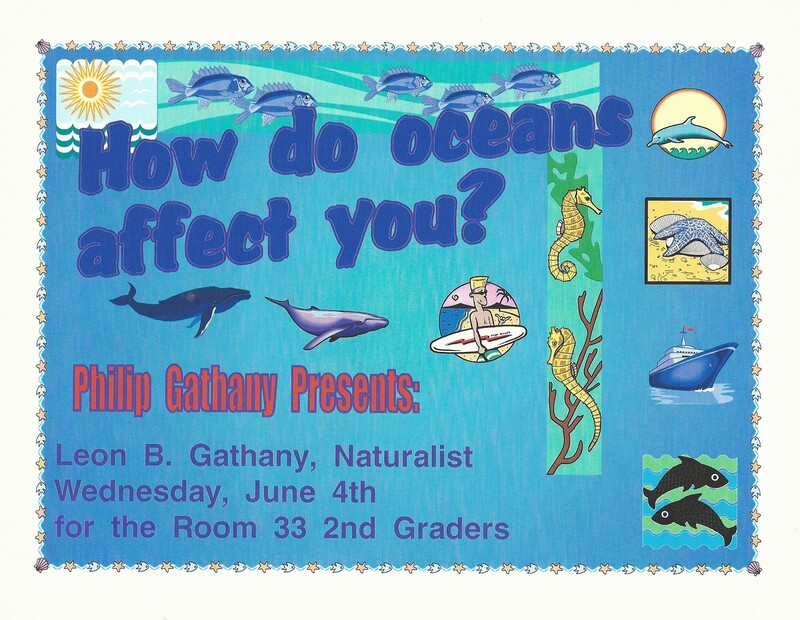 The spring and fall programs at the eight elementary schools continued for several years. 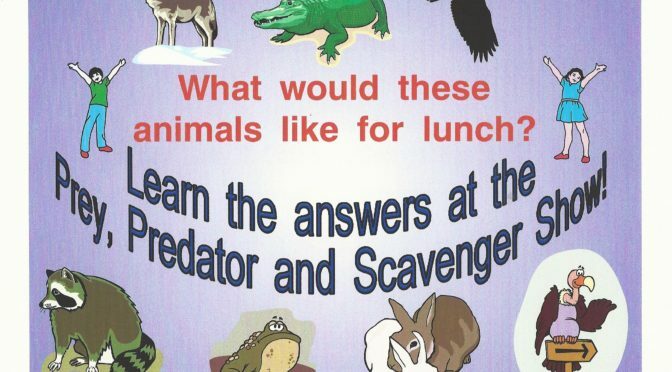 When I ceased to be a naturalist at Tugaloo State Park, I became a free-lance naturalist programmer and actually presented even more programs, including seventeen different Georgia State Parks and Historic Sites. 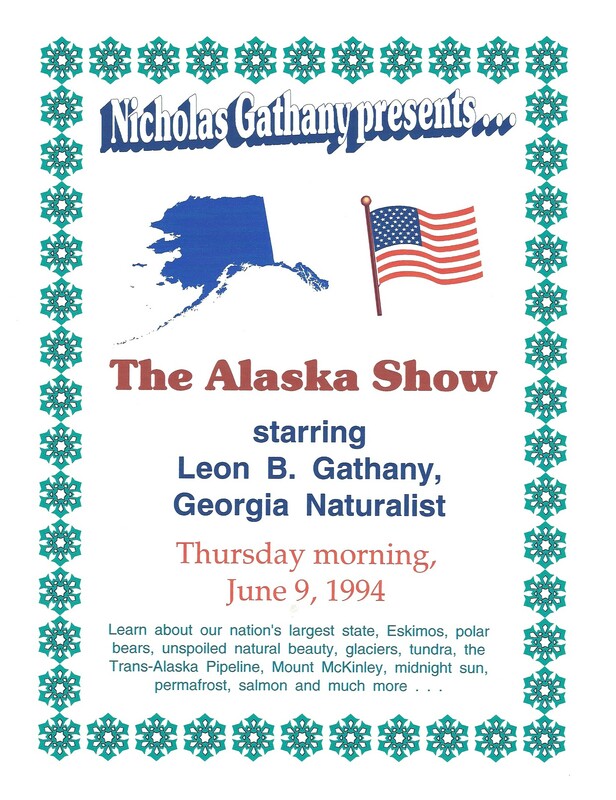 My wife, Rachel, also presented programs and we worked together and conducted over two-hundred programs per year for schools, state parks, civic organizations, scouts, churches, home schooled children, Elderhostel groups, and much more. 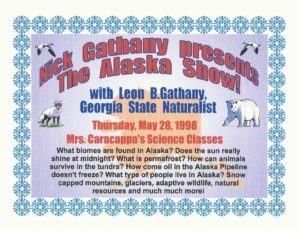 We had a repertoire of eighteen unique programs including: Mammals, Birds, Snakes, Insects, Creatures of the Night, Beaver, Oceans, Producers and Consumers, Composting, Bats, Fossils, Rocks and Minerals, and Indian Ways of Life. 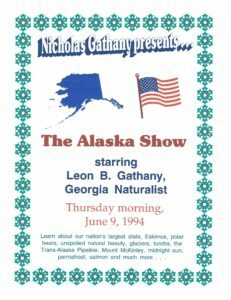 Also our color slide programs included: Alaska the Last Frontier, Wild Flowers, This is My Country, Autumn Leaf Color, and Hawaii the Beautiful.